The US tax law requires Envato to collect tax information from our authors. While we cannot provide you with tax advice, we have put together this article to help you through the process. This has the caveat that you should always seek advice from a professional accountant/tax advisor because we are not authorised to advise about your specific tax situation, including filling out your specific tax form. Your situation will determine which tax form you need to fill out. 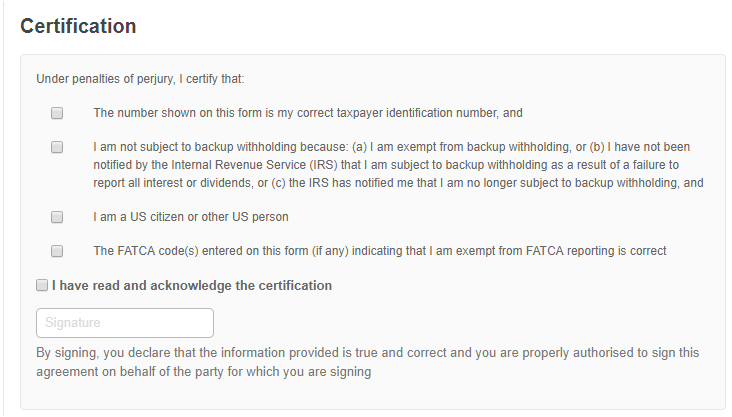 US persons are required to fill out a W9 form. Non US individuals will need to fill out a W8BEN form, and non US-organisations will need to fill out a W8BENE form. This article is about the W9 form, we have equivalent articles for W8-BEN and W-BEN-E. The first section of the form asks you for your personal details. In this section, please provide details including your name, country, and postal address. Please ensure that you provide a complete address because we will use this address to send you a hard copy of your Form 1099, which is your US earnings summary for the year. You will also need to select the tax classification that applies to you. A Taxpayer Identification Number is an identification number issued by the United States’ Internal Revenue Service (IRS) or the Social Security Administration (SSA). A Social Security Number (SSN) is issued by the SSA whereas all other TINs are issued by the IRS. Sole proprietorship Sole proprietorship is an unincorporated business owned entirely by the individual. In general, the owner is also personally liable for all financial obligations and debts of the business. A sole proprietor must use its SSN on the Form W-9 as its TIN. Partnership A partnership is the relationship existing between 2 or more persons who join to carry on a trade or business. Each partner is taxed on his share of the partnership net profit or loss. Partnerships must use its EIN on the Form W-9 as its TIN. Corporations are formed under the laws of each state and are taxed corporate income tax separately to the owners. Any earnings distributed to shareholders in the form of dividends are taxed at individual tax rates on the owners’ personal tax returns. Regular corporations are called C Corporations because Subchapter C of Chapter 1 of the Internal Revenue Code is where you find the general tax rules affecting corporations and their shareholders. The Subchapter S Corporation is a variation of the standard corporation. An S Corporation is similar to a partnership in that generally taxes are not paid at corporate level. It has the same corporate structure as a standard corporation, except it files an election Form 2553, Election by a Small Business Corporation, to be treated differently for federal tax purposes. Corporations must use its EIN on the Form W-9 as its TIN. An LLC is an entity created by state statute. Depending on elections made by the LLC and the number of members, the IRS will treat an LLC either as a corporation, a partnership or a disregarded entity. An LLC that has at least 2 members is classified as a partnership unless it files Form 8832 and affirmatively elects to be treated as a corporation. An LLC that is classified as a partnership must use the LLC’s EIN on the Form W-9 as its TIN. A single-member LLC classified as a disregarded entity generally must use the owner’s SSN or EIN on the Form W-9 as its TIN, not the LLC’s EIN. LLCs that files Form 8832 to affirmatively elect to be treated as corporations should use the LLC’s EIN on the Form W-9 as its TIN. 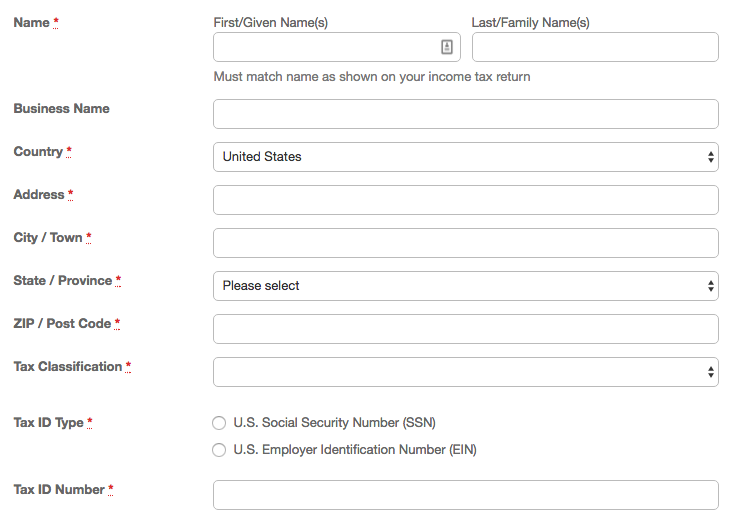 You’re also asked to fill out your tax ID type (SSN or EIN) and tax ID number. Please make sure you provide the correct SSN or EIN number as the IRS may impose penalties for incorrect SSN or EIN. In the next part of the form, you need to certify that the information you’ve provided is correct. Please make sure you understand all the items under this section. The purpose of the Form W9 is to establish your identity and status as a US. person. It is important to note that providing false information is subject to penalties under perjury. You will also need to acknowledge the certification and provide your name as an electronic signature. Once you’ve submitted your information look out for the success message at the top of your screen. If you don’t see this there might be an error in your information that you’ll need to fix before submitting again.